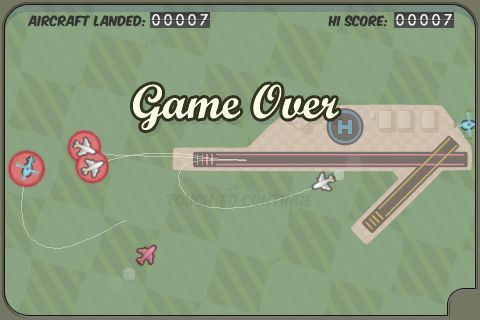 Flight Control is a simple yet challenging game. You are an air traffic controller whose job it is to help all the planes land safely at the airport. As the planes approach your field of vision a exclamation point begins flashing at the point where they will enter the screen. When the plane appears, it will be in color. The color indicates that the plane needs a flight path. 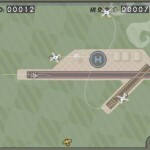 You must draw a flight path for the plane with your finger on the iPod or iPhone screen from the plane to the runway. There are two runways and a helipad for the helicopters. The small orange planes can use the shorter runway. 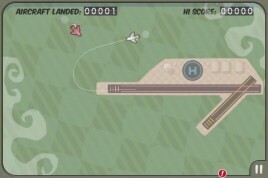 After you give the plane a flight path, it will turn white and proceed to follow the path and land. If, however, two planes come close to one another, you will receive a warning in the form of a red circle around the planes. If they crash, the game is over. Often, you must alter the flight path of one or more planes to avoid a collision. This app reminded me a lot of Airport Mania by Reflexive Entertainment. The basic premise for both is the same. The biggest difference is the depth of game play that exists. Airport Mania not only requires you to land the planes, but you must take care of the planes and help them load and unload passengers. There is a lot more to keep track of and to do. However, the planes on Airport Mania do not crash into each other. You simply cue them up in a landing order and they take care of the rest. 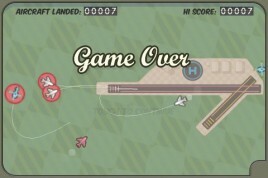 If you are looking for a quick game that will challenge you, Flight Control will offer a well-designed challenge. If you want a more in depth game that will carry you through hours of play, Airport Mania fits the bill a little better. 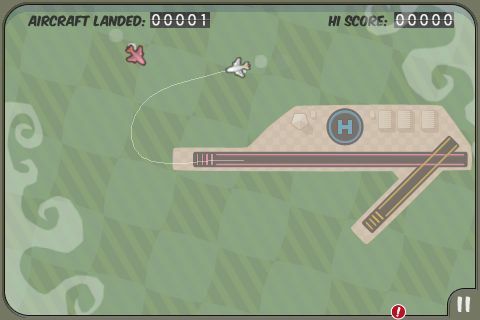 Flight Control is $0.99 in the iTunes App Store. Just found your blog on Technorati & Digg upcomming news feeds and read a few of your other posts. ISeems good contents,Keep up the good work. Look forward to reading more from you in the future.